I can do anything from 5 minutes to 40 or more dependent on your requirements. 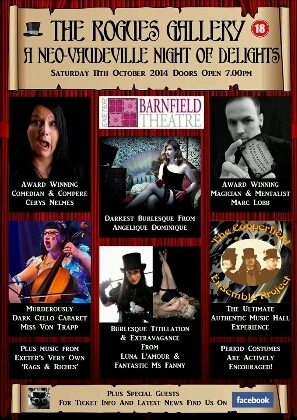 14th - 18th August 2014: Alt-Fest 2014: The Steampunk Experience! 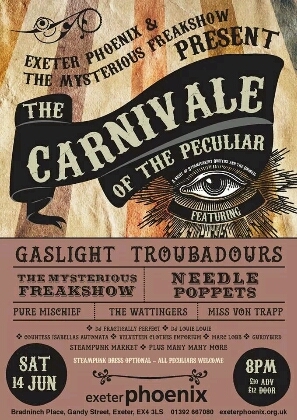 With Professor Elemental, Gladstone, Lord Montague Jacques Fromage, Birthrite, Metropolis, BB Blackdog, The Mysterious Freakshow, Frenchy and The Punk and more fantastic bands than you can shake a teacup at... 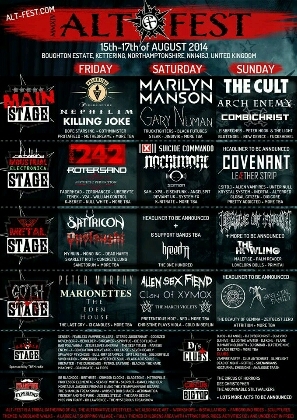 The main stages have Marilyn Manson, Fields of The Nephilim, VNV Nation, The Cult, Gary Numan, Killing Joke... Too many to list. It's going to be MASSIVE!! 1st November 2014: Halloween Show, Club Rainbow, Torquay. More tba as I confirm them. 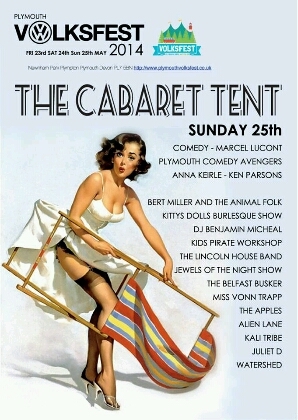 Usually I require a minimum of a month's advance notice of the date if you wish to book me unless it's for HALLOWEEN... In which case, book now!